Growing up, I was expected to wear dresses instead of jeans, play with dolls instead of playing sports, learn to cook and do household chores and most importantly always act like a lady. My grandmother used to always say, “Leave the business work to men,” and I promised my children or nieces would never ever hear such a thing. Long story short, I was beyond excited to see that Mattel had launched its very own Entrepreneur Barbie. Mattel partnered with Girls Who Code, Rent the Runway and One Kings Lane to create Entrepreneur Barbie. She wears a pink fitted dress and carries a tiny tablet and smartphone. Her hair is pulled back into a ponytail making her look cute and sophisticated. According to Mashable, this doll was created in hopes of inspiring young girls to dream bigger. Over the years, Barbie has held many career titles including doctor, astronaut and was even a president in 1992. 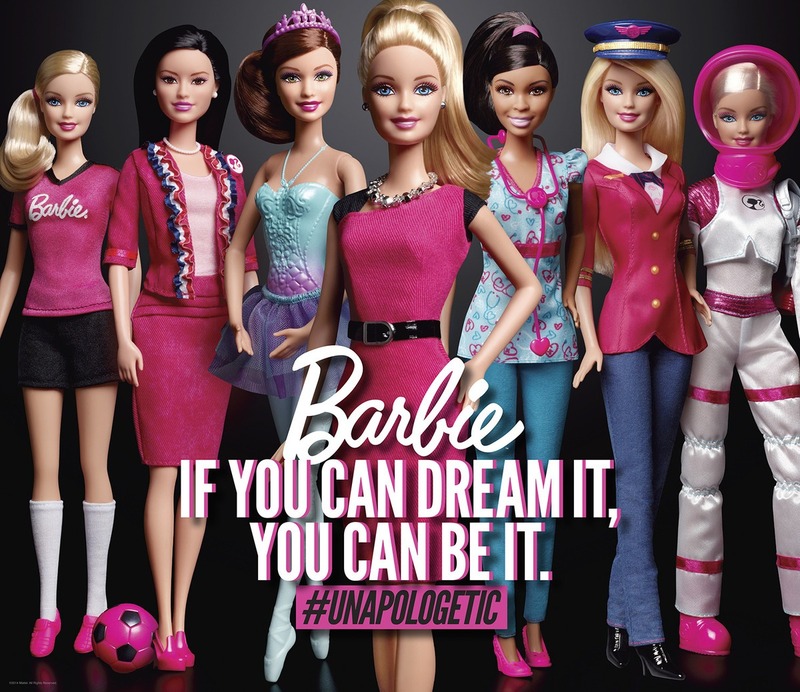 Mattel is promoting Entrepreneur Barbie with #Unapologetic and the tagline “If you can dream it, you can be it”. Although the hashtag is seen in many unrelated posts, the feedback sounds positive and women seem to love the idea of educating young girls to dream big and reach their goals. Entrepreneur Barbie even has a pink resume and her very own LinkedIn account with more than 3,800 followers. Her linkedIn account says, “My new business is ‘Dream Incubator’ where I act as a consultant, helping girls around the world play out their imagination, try on different careers, and explore the world around them. Our company tagline is ‘If You Can Dream It, You Can Be It!’” It also explains that her true calling is to encourage girls to dream big and have no limitations on their ambitions. The message portrayed by Barbie is positive and strong. It is great to see how toys have evolved and Barbie is a perfect example of this. What do you think about Entrepreneur Barbie? Do you think it will affect the way girls view toys? Tell us your opinion. Like us on Facebook and follow us on Twitter.